Difference between revisions of "DUBUQUE BOAT AND BOILER WORKS"
Working on a boiler c. 1912. Photographer unknown, “[Dubuque Boat and Boiler Works No. 2 Punch],” Loras College Digital Collections, accessed April 17, 2014, https://digitalcollections.loras.edu/items/show/113. In 1908 the company received a contract to built twenty-eight barges for freight transportation. (4) In addition to the benefit this construction had on the local economy, the announcement promised cheaper transportation for area farmers and manufacturers. At the time, railroads were charging 7.5 mills per ton for freight; water transportation averaged 1.5 mills per ton. (5) At the same time the order for the barges was received, the company was working on two passenger boats and two towboats. The combined value on their orders was $250,000. Built by the Dubuque Boat Works. During WORLD WAR II, the Dubuque Boat and Boiler Works manufactured more than twenty vessels for the military including Coast Guard cutters, tenders, mine planters and towboats. (17) In 1941 the company had a contract for the construction of quartermaster distribution box boats used in the defensive mining of United States coastal waters. Each boat took seven days for production. (18) In June, 1941 two cutters were launched. (19) Other ships included tugs and tenders. Grease for the launching slide was difficult to find during the war. For one launch, bananas were pureed and spread on the wooden rails to allow the completed ship to slide into the water. (20) An estimated twenty boats were built during the war. Two new types were mine layers and tenders. With the end of the war, Dubuque Boat and Boiler Works converted to the production of pleasure craft and was soon rated as one of the major excursion boat manufacturers in the nation. The excursion boat business began gradually. Henry Barr Miller, President and Capt. Dennis Trone, Vice President followed an idea to provide the wealthy post-war public with a unique product recalling the great excursion boats of the 1920s. (21) These new boats were efficient, attractive, and affordable to small operators. All featured the look of the old time steamboats. Some pulled a fake wheel, others were powered by chain-driven wheels, and some had hydraulic rams operating at high pressure much like a true steamboat. One of the first boats designed by Trone was the Talisman. Built for a company he and his brother called Sangamon Packet Company, the vessel was a relatively small stern-wheeler (60'x16'x3') which operated until the early 1990s at Lincoln's New Salem State Park in Illinois. (22) The vessel used hydraulic rams to operate its paddlewheel. Burning barely 20 gallons an hour and not requiring a licensed engine room staff, the vessel operated with two deck crew (who doubled in the bar and concession stand) and a pilot who could also serve as captain. A replica of a stern-wheeler used for mail and passengers was purchased by St. Louis businessmen as a yacht. In the 1950s the company manufactured a semi-custom houseboat called "Voyager." It was 42 feet long with a sixteen foot beam. Compared to the sleek models today it weighed an incredible 20 tons due to its construction with 3/16 inch steel. North Star, Towboat, 1906. Photo courtesy: Murphy Library Special Collections, University of Wisconsin-La Crosse. Lieut. Gurney, U. S. Army Corps of Engineers, Towboat, 1911. Photo courtesy: Murphy Library Special Collections, University of Wisconsin-La Crosse. Lieut. Augustin, U. S. Army Corps of Engineers, Towboat, 1911. Photo courtesy: Murphy Library Special Collections, University of Wisconsin-La Crosse. Helen Z, Point Towing, Towboat, 1911. Photo courtesy: Murphy Library Special Collections, University of Wisconsin-La Crosse. Augustus J. Nolty, USE, Towboat, 1912. Photo courtesy: Murphy Library Special Collections, University of Wisconsin-La Crosse. Lieut. Lewis, Towboat, 1912. Photo courtesy: Murphy Library Special Collections, University of Wisconsin-La Crosse. Waterway, Snag boat, 1912. Photo courtesy: Murphy Library Special Collections, University of Wisconsin-La Crosse. Burlington, Standard Dredging, Dredge, 1913. Photo courtesy: Murphy Library Special Collections, University of Wisconsin-La Crosse. W. M. Rees, Tugboat, 1913. Photo courtesy: Murphy Library Special Collections, University of Wisconsin-La Crosse. Beder Wood, Towboat, 1915. Photo courtesy: Murphy Library Special Collections, University of Wisconsin-La Crosse. Marieta, Corps of Engineers, Dredge, 1915. Photo courtesy: Murphy Library Special Collections, University of Wisconsin-La Crosse. Harry L. Block, Tugboat, 1917. Photo courtesy: Murphy Library Special Collections, University of Wisconsin-La Crosse. Yocona, Towboat, 1919. Photo courtesy: Murphy Library Special Collections, University of Wisconsin-La Crosse. Mary K. Towboat, 1923. Photo courtesy: Murphy Library Special Collections, University of Wisconsin-La Crosse. Kiwanis, Cairo City Ferry Company, ferry, 1923. Photo courtesy: Murphy Library Special Collections, University of Wisconsin-La Crosse. John C. Irwin, Corps of Engineers, Towboat, 1924. Photo courtesy: Murphy Library Special Collections, University of Wisconsin-La Crosse. Winnebago, Dells Boat Company, Excursion boat, 1924. Photo courtesy: Murphy Library Special Collections, University of Wisconsin-La Crosse. C. C. Webber, Upper Mississippi Barge Line, Towboat,1927. Photo courtesy: https://wiki.cincinnatilibrary.org/index.php/Shipyards_and_Marine_Ways. J. T. Hatfield, Upper Mississippi Barge Line, Towboat, 1927. Photo courtesy: Murphy Library Special Collections, University of Wisconsin-La Crosse. George M. Verity, Towboat, 1927. Photo courtesy: Murphy Library Special Collections, University of Wisconsin-La Crosse. John J. Hoopes, Corps of Engineers, 1929. Photo courtesy: https://wiki.cincinnatilibrary.org/index.php/Shipyards_and_Marine_Ways. James W. Good, Federal Barge Line, Towboat,1930. Photo courtesy: https://wiki.cincinnatilibrary.org/index.php/Shipyards_and_Marine_Ways. Herbert Hoover, Inland Waterways Corporation, Towboat, 1931. Photo courtesy: https://wiki.cincinnatilibrary.org/index.php/Shipyards_and_Marine_Ways. Cypress, Corps of Engineers, Flood Control, 1934. Photo courtesy: https://wiki.cincinnatilibrary.org/index.php/Shipyards_and_Marine_Ways. Del Commune, Corps of Engineers, Towboat, 1937. 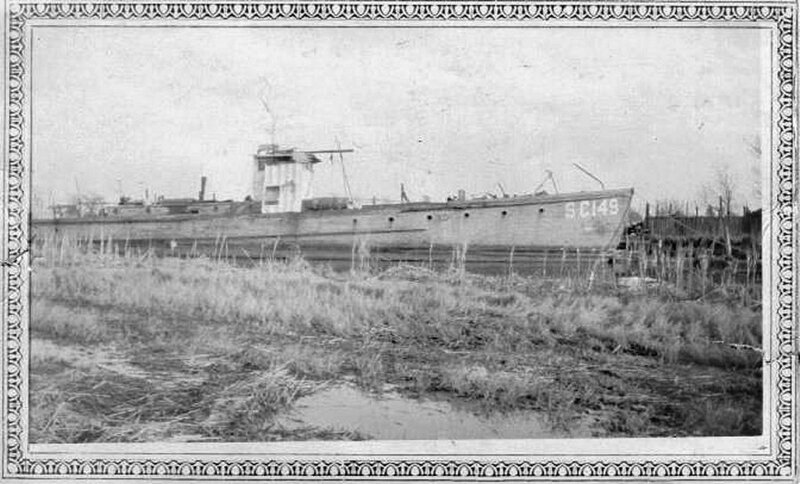 Built at a cost of $260,000 Photo courtesy: https://wiki.cincinnatilibrary.org/index.php/Shipyards_and_Marine_Ways. Mobile, Federal Barge Lines, Ocean tug, 1938. Photo courtesy: Murphy Library Special Collections, University of Wisconsin-La Crosse. Bluebonnet, US Coast Guard, Tender, 1939. Photo courtesy: https://wiki.cincinnatilibrary.org/index.php/Shipyards_and_Marine_Ways. Commander, Dells Boat Tours LLC, Excursion Boat, 1950. Photo courtesy: https://wiki.cincinnatilibrary.org/index.php/Shipyards_and_Marine_Ways. Pathfinder, Corps of Engineers, Towboat, 1954. Photo courtesy: https://wiki.cincinnatilibrary.org/index.php/Shipyards_and_Marine_Ways. Memphis Queen II, Capt. E. B. Langford, Excursion Boat, 1955. Photo courtesy: https://wiki.cincinnatilibrary.org/index.php/Shipyards_and_Marine_Ways. Coal Queen, Bissell Towing, Towboat, 1959 Photo courtesy: https://wiki.cincinnatilibrary.org/index.php/Shipyards_and_Marine_Ways. Golden Arrow, St. Louis syndicate, Excursion Boat, 1964. Photo courtesy: Murphy Library Special Collections, University of Wisconsin-La Crosse. Tom Sawyer--- Loc-Wood Boat & Motors Inc.---Excursion Boat---1965. Jonathan Padelford, Padelford Packet Boat Co., Excursion Boat,1970. Photo courtesy: https://wiki.cincinnatilibrary.org/index.php/Shipyards_and_Marine_Ways. Belle of the Lake, Geneva Lake Excursion Company, Excursion boat, 1971. Photo courtesy: Murphy Library Special Collections, University of Wisconsin-La Crosse. The 1916-1917 White's Dubuque County Directory listed 550 3rd as the address. The 1939 to 1970 Dubuque City Directory listed the company as the Dubuque Boat & Boiler Company at 302 E. 3rd.